Getting a goodnight’s sleep isn’t always easy, especially when you’re a young adult balancing school, work, clubs and social pressures. According to a study published in the Journal of Adolescent Health in 2010, more 60 percent of the 1,125 university students studied reported poor quality sleep. That can have a deep impact on health, learning and job performance. 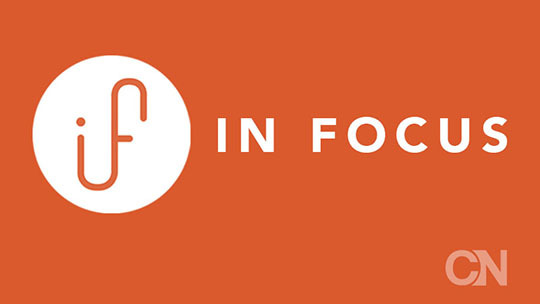 On this episode of In Focus, we explore the consequences of sleep deprivation among young adults. We hear from one college student who had a frightening experience with sleep paralysis he attributes to stress, and we speak with a sleep specialist about how to get better sleep – even during your college years. The In Focus theme song is called “Wounds (Remix)” by Ketsa, used under Creative Commons. Additional songs in order of appearance: “Planet E” by Lee Rosevere and “Barents Sea” by ASOTWL were both used under Creative Commons. Share your feedback about the episode here. 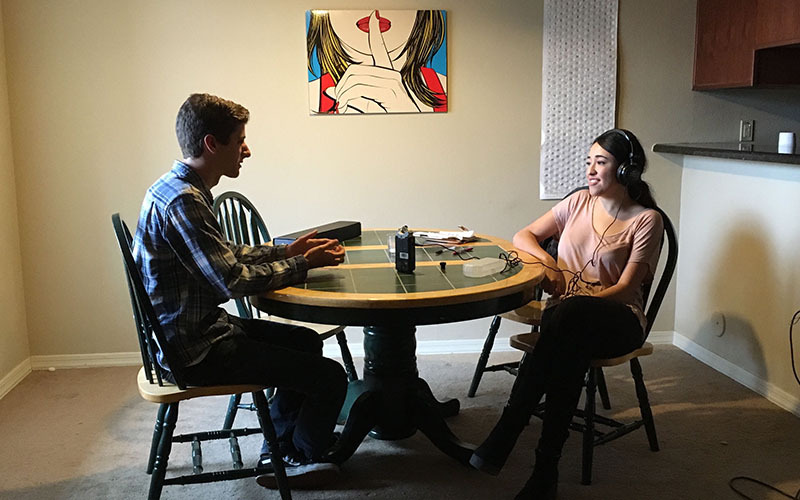 Tristan Larrison, an Arizona State University sophomore, began experiencing sleep paralysis when he was a senior in high school. These are all symptoms the disorder, which is characterized by the inability to move or speak after initially falling asleep or just before waking up. This can include visual or auditory hallucinations and can be triggered by other sleep disorders such as narcolepsy and sleep apnea and sleep deprivation, or stress and mental health issues. Larrison said he believes his irregular sleep patterns contributed to his sleep paralysis, but he said he believes it was really brought on by stress in his life. “I was also in the closet about my sexuality and that was obviously causing so much inner turmoil and stress, and that was a big reason I was having all these terrors in the night,” he said. Larrison is not alone in experiencing some kind of sleep disturbance as a young adult. According to a study published in the Journal of Adolescent Health in 2010, more 60 percent of the 1,125 university students examined, received poor quality sleep, which can contribute to poor academic performance. This study also showed that those students who had poor sleep had more issues related to physical and psychological health. Lauri Leadley, president of the Valley Sleep Center, said there are many reasons why young adults have a hard time getting good sleep. “So, in young adults and college students what we see the most is just basic discipline and sleep hygiene,” said. This could include not going to bed at the same time each night and waking at varying house of the morning — ultimately lacking a sleep schedule. College students aren’t the only ones who may be dealing with sleep deprivation. According to the Centers for Disease Control and Prevention, 33.3 percent of the surveyed individuals in Arizona reported not receiving the recommended 7 hours of sleep per night. People no longer in school may not suffer the consequence of a lower grade point average, but according to the Division of Sleep Medicine at Harvard Medical School, increased blood pressure and inflammation, as well as stress can be a result of sleep deprivation. Additionally, those who regularly sleep less than 6 hours a night tend to have a larger body mass index. “Sleep disorders are not to be taken lightly and they’re definitely treatable,” said Leadley.